Everyone seems busy doing something for democracy. The lawyers are working to restore the ousted judges in order to ensure democracy. "No democracy without independent judiciary," is the slogan. The opposition parties supporting them have come on the streets to bring real democracy to this country. The ruling coalition is managing some damage control to save the system. After a brief interlude of compromise and stability, the perennial confrontational mode of Pakistani politics between the government and the opposition is back into play with both sides assuming their traditional role: the ruling party seeking absolute power by pushing the opposition to the wall and the opposition taking to streets to force premature general elections. "There still are chances of reconciliation"
The News on Sunday: How will you analyse the present political situation of the country? Abbas Athar: It is very tough to analyse the political situation, because you are not sure what's going to happen next. But one thing is sure that the present political confrontation has destroyed the whole process of reconciliation. PML-N is not ready to withdraw its demand for the restoration of judiciary to the Nov-2, 2007, position and it has gone ahead with the Long March and sit-in with full force. On the other hand, the government had planned to handle the issue on an administrative level. Many of the workers of different political parties and lawyers have already been arrested while containers are being used to block the roads. What the Movement did not do? On surface, the recent political crisis may evoke a sense of déjà vu, but with one big difference. It is not just democracy which is at stake this time; the very survival of this country as an entity is being put to test. Do the different players in the political arena feel the weight of this huge responsibility and are they ready to devise some way to come out of it? If a comparison was drawn between 1977's Tehrik-e-Nizam-e-Mustafa and the current Lawyers' Movement, it would appear that the latter is not sponsored by the ISI (Inter Services Intelligence). Though, certain quarters of the government deny that fact. There is a general feeling that the Pakistan People's Party (PPP) has veered off the track -- after the assassination of Benazir Bhutto -- and that a party member requires the 'blessings' of President Asif Zardari to rise to prominence, rather than loyalty to the party itself. The News on Sunday: How do you see the current political turmoil in the country and who do you hold responsible for the situation? 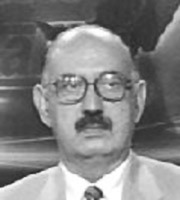 Irfan Siddiqui: I think it's very obvious. We have seen things worsen with every passing day. One of the foremost reasons for this decay is the violation of the Charter of Democracy by one of its signatories. It is no secret that in the last general elections the people of Pakistan gave mandate to these political parties for their declared resolve to tackle certain issues. They saw certain promises made on March 9, 2008, and then again on August 7, 2008. But one year on, nothing has changed and these promises remain unfulfilled. Actually, wittingly or otherwise, they all are working not just against democracy but against the viability of the state itself. The lawyers are fighting a war of Karbala, without realising that the outcome of Karbala was only martyrdom and not restoration. After the lawyers' call for boycott of polls was rejected, they ought to have learnt their lesson which they did not. The movement could only achieve its objectives by negotiating with the government of the day but they let the PML-N do its bidding which obviously didn't work. The political forces outside the parliament -- those who boycotted the polls -- did not admit to their blunder and kept harping on the same tune of changing the system and calling the newly elected parliament a continuation of Musharraf regime. With the disgruntled PML-N ready to forcefully collaborate with the lawyers, these forces have jumped onto the bandwagon of confrontation. PML-N support to the lawyers' Long March, frankly, was half-hearted till the controversial and ill-timed decision of the Supreme Court that declared the Sharif brothers ineligible for any electoral office came. Predictably, the Sharifs declared war and are out on the streets calling people to revolt against the system. About the PPP, the less said the better. It is now forced to do some damage control because it was squarely responsible for this damage in the first place. If the decision was not bad enough, the PPP leadership decided to impose governor's rule in Punjab, confirming it mala fide and giving an excuse for everything that followed. And now the government has gone for overkill and not just a crackdown which makes it appear more like the previous regime. The PPP may think it has a strong case but it has failed to convince the people at large of how and why it was forced into this situation. So, for the time being, we are in the middle of a movement of sorts, though it is unclear if it's a movement for democracy or against it. The analyses and interviews in this Special Report try to make some sense of this dilemma. The only other time a significant movement was launched against a civilian government was in 1977. A comparison of 2009 with 1977 is also discussed here. We too have put in our share in the name of democracy. The way Pakistan People's Party has removed Sharifs' government in Punjab is just a re-play of its disdain to the opposition's government in a province in the previous tenures. In the first PPP government (1972-77), Zulfikar Ali Bhutto did the same to the NAP-JUI government in Balochistan and NWFP. The opposition that had lent him a hand in negotiations with India at Simla and framing the first unanimous constitution of 1973 was pushed to the wall with its leaders put behind bars charged with treason. In his quest for absolute power, Bhutto could not tolerate chief ministers of his own party in Punjab beyond a limited time period. He removed two chief ministers -- Mustafa Khar and Hanif Ramay -- lest they become strong local leaders in their own right. In her first tenure (1988) as prime minister, Benazir Bhutto dismissed the then opposition's government in Balochistan that was afterwards restored by the High Court. Benazir Bhutto had also made failed attempts to remove the then chief minister of Punjab Nawaz Sharif through her confidant Farooq Leghari. In her second tenure (1993-97), she could not get along with her coalition partner and the then chief minister in Punjab, Manzoor Wattoo, who was removed unceremoniously to bring a weak and pliable chief minister Arif Nakai. Still, all these actions could not save Bhutto's government from being dismissed unceremoniously before it could complete its full tenure in 1997. The same game is on yet again. After a long cold war between PPP's governor Salman Taseer with PML-N's chief minister Shahbaz Sharif, the PPP is relying on governor's rule to win the support of the majority in the Assembly. In the fractious house of 371, a party requires 187 members to form the government. PML-N is the largest majority party with more than 150 members but lacks a clear-cut majority on its own. The PPP has 107 members and the PML-Q's strength stands at 58. More than 20 dissenting members of the PML-Q have formed a forward bloc and support the PML-N. The number of the dissenting PML-Q MPs was 30 when Shahbaz Sharif was in power. Thus, the PPP succeeded in breaking the strength of the PML-N supporters by imposing the governor's rule. No major party in Punjab is in a position to form the government unless joined by the PML-Q and 12 independent members. Under the anti-defection law, no member of the party can vote against its party on two occasions: the election of the leader of the House (vote of confidence or no-confidence) and the money bill. Thus, the members of the forward bloc cannot vote for the PML-N's candidate against the party's decision. The chances of PML-Q joining hands with the Sharifs are slim because of two reasons: (a)the Sharifs are not willing to accept its major demand that is to grant it the position of chief minister; (b)Punjab's 28 district mayors (nazims) belonging to PML-Q are dead against PML-N whose chief minister Shahbaz Sharif rubbed their noses in the dust by depriving them of all the powers whereas Governor Salman Taseer restored their authority and granted them more powers than what is required under the law. The local government elections are due in August this year and the municipal institutions are the bastion of strength for the PML-Q led by the Chaudhrys. The share of the PML-Q after the next municipal elections, that invariably reflect the manipulated results of the sitting provincial government, would be the part of the deal between the coalition partners. After the unopposed senate elections of chairman (PPP's Farooq Naek) and deputy chairman (PML-Q's Jan Jamali), signs are that the PPP and the PML-Q may form a coalition in the Punjab. The chances of the PPP and the PML-Q forming a coalition in the Punjab are bright. In lieu of chief minister's position in the Punjab, the PPP may also offer the PML-Q federal ministries and positions of governors in smaller provinces. Whether the position of chief minister goes to the PPP or the PML-Q, the issue of Punjab's elected government may be resolved for the time being. The more significant issue, however, is the smooth functioning of the future coalition. Given the track record of PPP's coalition governments in the Punjab, the journey could be rocky and coalition shaky. In the past, not a single coalition of the PPP has completed its course including the one with the MQM in the 1988. The differences are bound to crop up and escalate in any coalition after initial few weeks or a couple of months as it had happened several times in the past. On the other hand, the Sharif brothers have upped the ante by taking to the streets and supporting the lawyers' sit-in in Islamabad. PML-N's support to the lawyers' movement seems more politically motivated than principled as they would like the people to believe. Only two judges of the Supreme Court, Chief Justice Iftikhar Chaudhry and Justice Khalil ur Rehman Ramday, and one judge of the High Court, Khawaja Sharif, have not taken fresh oath. All other judges sacked by President Pervez Musharraf have either taken fresh oath or retired. The issue could be resolved politically by finding some middle path if the political motives were not involved. Nawaz Sharif seems to be working for mid-term elections by mobilising public opinion on judges' issue through public rallies and agitation. The political history shows that the opposition's agitation paralyses the administration and does not allow it to complete its term. Sharif's calculation seems to be that he will win a majority vote if early polls are held. This is a repeat of what opposition parties -- IJI, PPP, PML-N etc -- have been doing all along in the 1990s until Gen Pervez Musharraf imposed military rule. In post-Zia period, the opposition parties have mostly never waited for five years to go into the polls and come into power. Instead, they have destabilised the sitting governments to force mid-term polls. When the country's internal security comes under threat due to increased agitation, it provides justification to the military generals to assume the charge to restore law and order and thus get into power. The politicians are treading the same oft-trodden path of mutual annihilation for the umpteenth time. Smelling some sort of early political change may be the reason former President Pervez Musharraf has recently become politically active again. For the past few weeks, he has been meeting political workers and leaders in Karachi to form a political party. In Karachi, he has a political support base among Urdu-speaking community and large businesses. Along with the MQM, Pir Pagaro and Sheikh Rasheed are also in contact with him. Musharraf's political aspirations may or may not materialise but one thing is quite obvious: the political stability that was expected after Feb 18 elections and the coalition of two major parties, the PPP and the PML-N, has come to an end. This time around, the risks involved in political instability are higher due to the Taliban-Al-Qaeda militancy raging all over the country in general and in the tribal regions in particular. The political agitation coupled with militancy scare the entire world that is fighting a war against terrorism. The world has a stake in the situation in Pakistan and can hardly afford a chaos where militants or radicals who believe in international terrorism could gain strength and use Pakistan's territory as safe haven. The diversion of attention and resources of state to address political agitation could provide the radical militants a free ground to operate. Thus, the confrontation between the Zardari-camp and Sharif-camp may not last long before they are forced to reach a political compromise or give way to some sort of third force to assume the power. Very recently, it seems there is a kind of a policy shift on the part of the government which has decided to resolve the issue politically. But I must say that so far there is no headway on this. TNS: Do you think PPP is responsible for the deadlock? AA: I wouldn't blame any one party for the deadlock. All of them are responsible for the situation. The government made promises but didn't deliver on them, whereas the PML-N is responsible for creating a situation where they have no other option except that of confrontation. PML-N is not ready to show flexibility on the issue of the restoration of judiciary something which is contrary to the wishes of the PPP. Apparently, there is no getting out of this situation. The parties are heading towards a violent clash which is sure to create more political mess. I must say that the democracy that was re-born after the nine years of Musharraf's dictatorship is once again under threat. TNS: Does it mean the situation has reached a point of no return like it did in the 1977 general disobedience movement? AA: It hasn't got to that stage yet. There still are chances of reconciliation. A unanimously elected prime minister, Yousuf Raza Gilani, is there and he is open to ideas. I think he can play his role effectively to help this situation. But if he does not step forward and the circumstances remain as they are -- beyond March 16 -- anything can happen, not only to democracy but to the country itself. TNS: So who is going to benefit from the situation? Do you believe a 'third force' is coming into being? AA: The political parties should understand that the 'third' force, whatever it is, will not be able to reinstate Iftikhar Chaudhry nor will it let any political party to form government in Punjab. So, they should try to resolve the problem politically. Everybody knows that whenever the political forces failed to resolve their issues, Establishment jumped in and imposed its 'decisions'. So far the establishment has been neutral, but how long it will remain so is a million dollar question. TNS: Is there a possibility of reconciliation? AA: I can't rule out reconciliation between the two main political parties. There are forces that are trying to bring the parties back to the negotiations table. The parliament is there, too. Both PPP and PML-N should use this platform to address their issues if they believe in democracy. For its part, the government should step forward and release all arrested political workers as a friendly gesture, while the PML-N should learn from the past and keep all options open including that of negotiations. TNS: It seems many international forces are either closely watching the political developments in Pakistan or trying to impose their decisions. Comment. AA: Pakistan has never been so independent as to make its decisions freely. The situation is no different today. The ambassadors of different countries, including that of the US, are trying to help matters. They are meeting the political stakeholders in Pakistan because they cannot afford to spoil their 'war on terror'. This particular piece is about only one of the many stakeholders and that is lawyers. It may appear too late to do an analysis of the wrongs committed by the leaders of the Lawyers' Movement but it is still early to ask if they have examined their own conduct in these two years. Did they ever try to discuss their limitations in the same breath as they listed their achievements? The Lawyers' Movement has all along taken a moral and principled position about the restoration of the ousted judges. This stance resonates with a majority of the lawyer community which would ideally like the movement to achieve its aim in whichever way possible. This position is confirmed through the election results of the various lawyers' bodies from the Supreme Court bar down to the district level. Beyond this stated principled position, though, majority of the practising lawyers do not actively participate in the activities of the movement. For them, it is business as usual as they go about pleading their cases before the very courts that the movement speaks so vociferously against. But the movement has sustained because successive bar elections bring victory to those who align with it and because, every time its leaders decide to make an announcement, the media picks up their cause as its own. It is now for the lawyers to see that, internal electoral victories aside, two years down the road how close are they to their stated aims. Was there, actually, no solution short of the revolution they are all set to make. Objective conditions indicate that they have moved from a bad enough position to worse. And this time they have dragged the entire country with them. Apparently, they did not realise that a mere repetition of facts -- that Nov 3, 2007, was an unlawful act and so was the ouster of judges -- would not automatically lead to restoration. The strategy adopted was flawed from the start. The lawyers' euphoria owes itself to the July 20, 2007, judgement that restored the chief justice. Indeed, it was a historic achievement and an overwhelming victory that the lawyers could claim to have earned by their sheer struggle. But the Nov 3 coup changed the world. The lawyers failed to understand that the judicial remedy available to them before July 20, 2007 was now gone. The strategy should have been changed after the lifting of martial law and right overtures made towards all political parties. But this was done only selectively, and dare one say, short-sightedly. And all this because the euphoria of July 20 refused to die down. They allied with forces that decided to boycott the Feb 18 elections; those within the movement who supported participation in elections were labelled as traitors. The greatest movement in history, it was thought, could change the chain of events in its favour. But come Feb 18, 2008 and people massively rejected the call for boycott; the turnout was even more than the 2002 elections. In the elections, only PML-N incorporated the restoration of judiciary in its manifesto while the rest of political forces including the PPP, PML-Q (for obvious reasons), MQM, ANP, JUI-F and others did not even talk about it, let alone make it into an election promise. PML-N secured 20 percent of the total votes polled which has consistently been projected as the will of the 160 million people. The lawyers whose call for boycott was unheeded by the people turned around and said this was a mandate given to them by the people. To make matters worse, in March 2008, even before the assembly was convened, the lawyers declared to surround the parliament (gherao karen gey) instead of talking about negotiations and began setting deadlines for the government. Now all claims of being a historic and revolutionary movement apart, they were taken at best as a pressure group by the government of the day which declared it would not be blackmailed by such tactics. The prime minister announced the release of the ousted judges though. So the lawyers put their weight behind PML-N and began negotiating with the government through PML-N. It could be argued if it was right for the lawyers to abdicate their ownership of the issue to PML-N and sit back with ease. The so called promises that Asif Ali Zardari is said to have made with 160 million people were in fact plain political agreements between him and Mian Nawaz Sharif at the time of government formation and later to retain PML-N as a coalition partner. It was common sense that the PPP would not let Mian Nawaz Sharif take political credit for something effected by it at a time when the lawyers were out to declare the PPP all-evil. In August 2008, the judges not yet restored, the PML-N withdrew as a coalition partner and its members resigned from the cabinet positions. After their main negotiating arm was out of government, the lawyers did not formulate an alternative strategy. They decided to live in their ideal world as their representatives kept winning bar elections defeating the government-supported candidates. The lawyers now think their moment has come and PML-N is going to get the judges restored for them which they both are convinced is not possible without eliminating the PPP. Only time will tell whether that happens but, if insiders are correct, the leadership of the Lawyers' Movement is being predominantly managed by the bars in Punjab and Lahore, majority of it politically opposed to PPP. Aitzaz is an estranged PPP leader. Hamid Khan, the man behind all key decisions who is believed to wield immense influence among lawyers, especially during bar elections, is the senior vice president of Pakistan Tehrik-e-Insaaf (PTI) -- a party that has a declared agenda of bringing revolutionary change in society if not an actual revolution. Perhaps there is still time for the lawyers' leadership to engage in an introspection along these lines. Tehrik-e-Nizam-e-Mustafa started coming up at a time when Zulfikar Ali Bhutto assumed power as the country's first civilian martial law administrator. This resulted in the formation of the TNM by the Pakistan National Alliance (PNA) and, finally, paved the way for General Zia ul Haq's military rule which ended with his mysterious death in a plane crash in 1988. The movement practically started when ZAB imposed governor's rule in Balochistan, sidelining the majority party -- National Awami Party (NAP). This action invited the NAP-led coalition government in NWFP which stepped down in protest and started a movement against Bhutto. Following the movement, ZAB imposed section 144 of Criminal Procedural Code (CrPC) across Pakistan, suspending the fundamental rights of speech and assembly. The movement, which had gained momentum in 1974, forced the ZAB government to announce early general elections in Feb 1977. The alleged massively-rigged 1977 elections again gave majority to ZAB and TNM flourished under the banner of PNA with the majority of right-wing parties supporting it. Though ZAB announced to accept many of PNA's demands through a pact, he delayed signing it. This finally caused ZAB's ouster by his handpicked chief of army staff. The Lawyers' Movement started with protests against the sacking of Chief Justice Iftikhar Muhammad Chaudhry by the then military ruler Pervez Musharraf. All political parties opposed the decision except, of course Musharraf's ally, Pakistan Muslim League-Q. Even though PPP withdrew its support from the Lawyers' Movement in its initial stages, it failed to reinstate Iftikhar Chaudhry and some of the deposed judges after it formed government in the Centre. PPP co-chairperson Asif Ali Zardari repeatedly promised to restore judges while twice signing agreements with its biggest coalition partner PML-N. This incepted the conflict between the two major parties. In February, following the electoral disqualification of Nawaz Sharif and Shahbaz Sharif, the PPP government imposed Governor's rule in Punjab since Shahbaz Sharif couldn't continue working as chief minister. Sharif's disqualification was probably the last blow to the coalition after which the PML-N strongly started to oppose the PPP government, particularly criticising Asif Zardari. The court's decision also inflated PML-N's demand to restore judiciary. Later last week, Section 144 was imposed in Punjab -- seen by some as a means to curtail the Long March. PPP is looking towards forming its government in Punjab with the PML-Q, ignoring the majority party, the PML-N. The situation forebodes disaster unless the situation is handled well and in the shortest possible time. Husain Naqi, former editor The News, while drawing a comparison of the two aforementioned movements, told TNS that the 1977 movement was sponsored by ISI against democracy unlike the current movement which was pro-democracy. He said that the PPP and the PML-N was the best combination which had come into being after the 2008 elections. But this, he argues, is not acceptable to the Establishment. Naqi said that Zardari was playing into the hands of the Establishment and damaging the system by deviating from his political commitments. Khawar Naeem Hashmi, senior journalist and bureau chief Geo TV, Lahore, said there were chances that some rogue elements in ISI and the Establishment were supporting the current Lawyers' Movement. "The ultimate beneficiary of this movement seems to be none other than Taliban itself, because Nawaz will again be left empty handed," he told TNS. Hashmi also said that the possible role of Saudi Arabia as an ally of Sharifs and the opponent of America should not be ignored. "The support to Taliban will not be acceptable to the US which will be compelled to negotiate with the Saudis." It is unlikely that the outcome of the Lawyers' Movement will be favourable to the masses. The nation, according to Hashmi, is still faced with the consequences of the 1977 movement which gave the country a long martial law and destroyed its cultural and social values. "Following Benazir's assassination, Zardari assumed power on the condition that he will restore the judges, including the deposed chief justice. I fear whoever will replace Zardari will only strengthen his power by backing Taliban. "Certain elements in the establishment will also benefit," he added, "It is high time Zardari took some hard but popular decisions which are against his interests. If he takes wise decisions it will increase his popularity graph anyway." Noted human rights activist Hina Jilani also spoke to TNS on the issue and said that the Lawyers' Movement was not funded by ISI. She believed the Movement reflected the popular desire for change. It "is not for Nawaz Sharif but for change in the system." Certain PPP die-hards who were close to Benazir are being ignored. For instance, Makhdoom Amin Fahim who was considered the strongest candidate for prime ministership, after Benazir Bhutto, was given a miss by the party and a close friend of Asif Zardari, Yousuf Raza Gilani, was selected for the slot after the Feb 18 polls. Later, PPP denied senate tickets to party stalwarts like Farhatullah Babar, Nafees Siddique, Taj Haider, Enver Baig and Chaudhry Ghulam Abbas. On Feb 18, 2009, the membership of Aitzaz Ahsan, Safdar Abbasi and Naheed Khan was suspended from the Central Executive Committee for not toeing the party line on important issues. It is interesting to note that none of these 'ignored' PPP leaders would leave the party because they feel a strong sense of affiliation with the Bhutto family. Some of them are also openly critical of the present leadership. For its part, the PPP leadership is not inclined to pay any heed to the outcry; it continues to patronise its 'favourites'. More recently, Farooq H. Naek's nomination as the PPP candidate for the chairmanship of the Senate came under fire. Clearly, Naek was given preference over Senator Raza Rabbani, a diehard PPP worker, who had also been very close to (the late) Benazir Bhutto. According to a source, Asif Zardari was not happy with Rabbani. "Shahbaz Sharif hinted that when Zardari offered him a 'business deal' Raza Rabbani was also present on the occasion and he (Rabbani) took a lot of time rejecting the allegations levelled by the Sharifs," says the source. Commenting on the situation, Sheikh Rasheed Ahmed, President, Pakistan Awami League, says the PPP should understand that today it is Zardari's party and not Benazir's. "They will have to pledge allegiance to Zardari if they want to stay in the corridors of power." Many PPP leaders are also unhappy about the Governor's rule in Punjab and the way the lawyers' movement is being crushed by force. They feel Salman Taseer has turned them a deaf ear. "Taseer is basically working for Musharraf but he is portrayed as if he was the face of PPP in Punjab," says a senior leader of PPP, Punjab, on condition of anonymity. "You know what the party leadership did? They sacked Ghulam Abbas!" It is also said that there are differences simmering between Yousaf Raza Gilani and Asif Zardari and that the former is not happy with the latter's 'undemocratic' actions, chiefly the imposition of the governor's rule in Punjab. The party spokesmen are quick to reject all such rumour as baseless. "There are no differences whatsoever between the Prime Minister and the President," insists Sajjad Bokhari, Deputy Information Secretary, and member of PPP's Central Executive Committee. "Didn't anyone notice how Raza Rabbani participated in the Senate proceedings in a very genial atmosphere? He may have reservations regarding a particular decision made by the party but then he is entitled to his opinion. Those who are reading a 'rift' into the reservations don't know the democratic culture in the party." Bokhari also claims that the party is united under the leadership of Zardari. Suhail Warriach, renowned political analyst, seconds Sajjad Bokhari, by suggesting that PPP "is not a political party; it's a cult because of the sacrifices given by the Bhuttos." According to Warraich, the problem with Zardari is that he has no direct links with many party people, "He was not very active in party matters during Benazir's life. Secondly, he became president within months of being chosen the party co-chairman. There is a kind of a security wall between him and the party workers and the leaders, which is why many of them cannot relate with him." Warraich admits that there are some differences within the party ranks on certain policies and issues "but I do not think they can turn into an open revolt against Zardari. "Raza Rabbani will be back in a few days' time while Aitzaz is like a gone story for PPP. Even his close friends like Zamurad Khan are not siding with him." On the contrary, we can see that Musharraf's partners are back in the saddle and getting stronger by the day. It seems only Musharraf has gone and the policies introduced by him are still in place. Therefore, I would not name anyone responsible for the mess and leave it to the people of Pakistan to tell, in the light of what I have said earlier. TNS: Do you see a political solution to this problem? IS: I am a strong believer of the fact that the best way to solve mutual problems is to enter into talks. But in the current scenario I think chances of a dialogue are remote as the sitting government does not seem willing to accept PML-N's main demand of restoring the Chief Justice. Here I would refer to the phrase 'reconciliation' which is being used extensively these days. In reality, the government wants to enter into a business deal with PML-N. It wants the party to withdraw its support to the Lawyers' Movement and get the ineligibility decision out of the way. If you call this 'reconciliation' I'd never support it. My opinion is that no party shall be forced to budge from its principled stance -- whether it is PML-N, PPP or any other party. TNS: Some elements are suggesting a give-and-take policy should be adopted by the parties. They say that PML-N must withdraw from its demand to restore the Chief Justice. What is your take on this? IS: I think this suggestion is totally unworkable. How can PML-N withdraw from a demand which has been the focal point of its election manifesto and struggle for restoration of democracy? Secondly, I would like to say that the Long March has been called by the lawyers of the country and the PML-N has just assured its support to it. Even if we assume for a moment that the PML-N has withdrawn its support (to the Long March), do you think the lawyers would stop moving towards Islamabad and staging a sit-in? TNS: Looking back in history, we find that there has always been a third party to benefit from such situations. Do you foresee a repeat of this? IS: Not at all. I think the third party you are hinting at or referring to is already occupied in tackling issues of highly serious nature. It would not even think about opening another front. There is insurgency in Balochistan and the armed conflicts are going on in the country's tribal areas. Besides, the country has been in the grip of terrorism for the last couple of years -- a menace that needs to be tackled on war footing. In this background, I think derailment of democracy would be the worst thing to happen to the country.